The National and California Courts Monitor websites are taking a summer break. We will resume daily postings on the Tuesday after Labor Day. The much-heralded phase-out of privately run federal prisons had many wondering if that means changes in how immigrants are held by the Department of Justice. It will not, and the New Orleans website NOLA.com does a good job of breaking down the issue, which is partly because immigration jails are really “civil” vs. “criminal” charges. For one North Carolina teen, seeing his mom again meant a difficult, six-month journey through ICE, the courts and the ever shifting immigration waters. 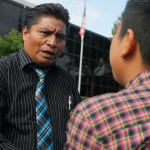 Having fled two powerful Honduran gangs – Mara Salvatrucha (MS-13) and the 18th Street Gang – seeking to add him to their ranks, Wildon Acosta became the face of the immigration crisis for the small Durham community who rallied to support his cause. 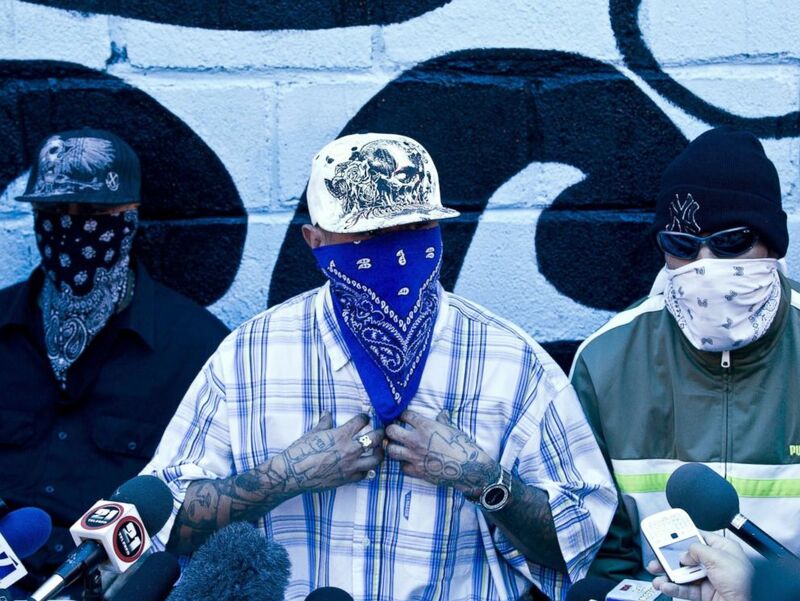 ABC News Reports (8/16/16): Masked members of the 18th Street gang give a press conference inside the San Pedro Sula prison in Honduras, May 28, 2013. When federal agents arrested him on his way to school, the story continued, Acosta had gone from speaking only Spanish to earning a B average in English-only courses. He was even held a part-time job. 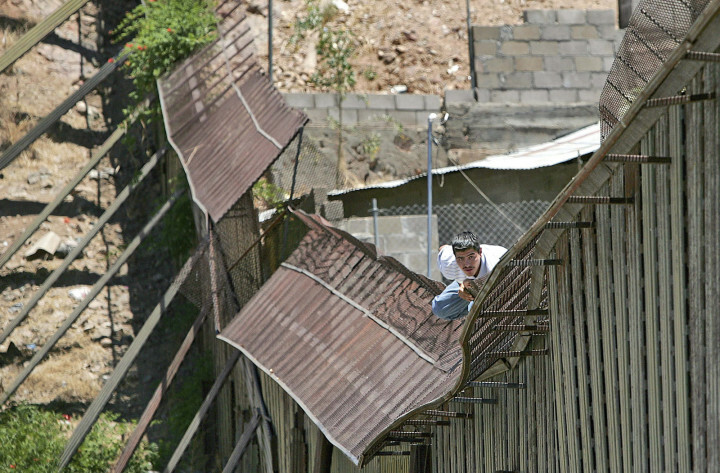 Acosta is hardly the only minor fleeing the violence, either, to build a new life here in the U.S. U.S. Customs and Border Protection reports that more than 63,000 unaccompanied minors were apprehended while attempting to cross the border between October 2013 and September 2014 as the gang violence was reaching a crescendo in Central America. 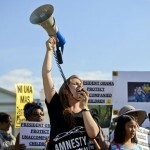 The issue of overhauling the immigration system has been on the front burner since George W. Bush was president. A former Governor of a border state, President Bush attempted to overhaul the system under his tenure, but was blocked by his own party. 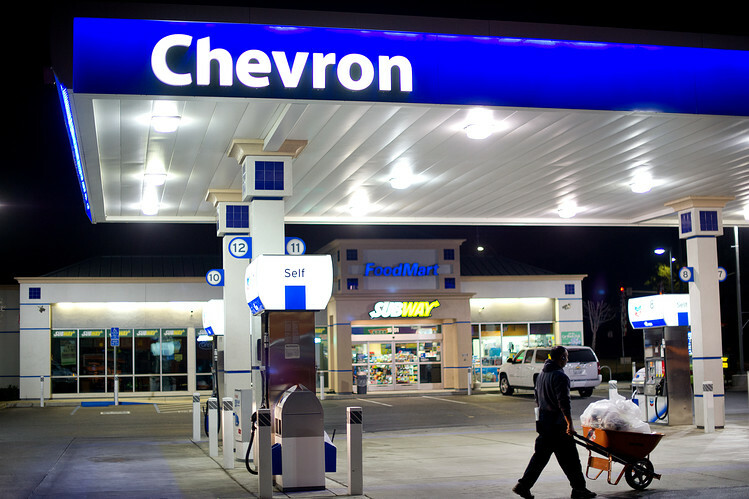 Subsequent attempts have come close, but real reform has failed each time. 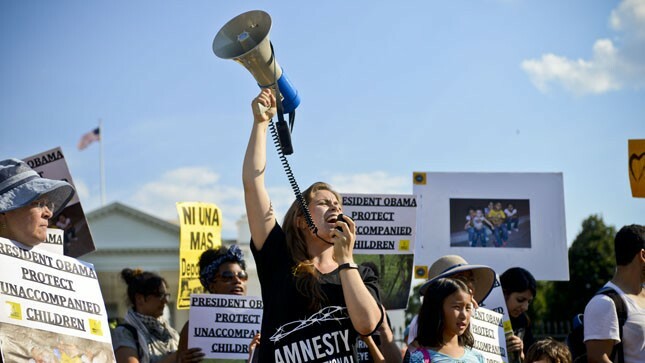 In 2014, President Barack Obama announced he was using his executive order power to bring about sweeping immigration changes. During his tenure, he has stepped up deportations, putting Border Kids at the front of the line, while also attempting to protect so-called DREAMERs. His executive orders have been stayed by the courts as states challenged his authority to implement immigration changes by executive order. This policy uncertainty has led to myriad stories of young people caught in a shifting web of changing rules, leading to a legal purgatory that Kafka would find surreal. Were it not for the community pressuring their local member of Congress to act on his behalf, Acosta would have been deported already. With $10,000 in bail money raised in two days, he is grateful to back in his community with his family, but his future remains uncertain as he works to file a petition for asylum. 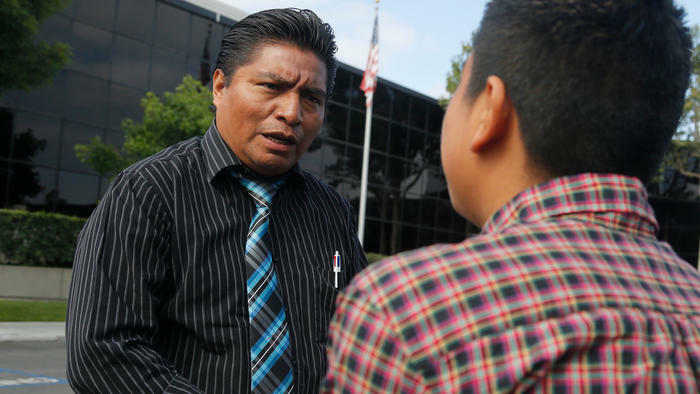 The support from his community undoubtedly means that he will have legal representation to aid him in making his case to become a legal, permanent resident of the U.S.
For more on the Acosta case, be sure to check out the in-depth ABC News report. You can follow along with our two-year project tracking the Border Kids crisis here. In a Huffington Post blog post, Courts Monitor Publisher Sara Warner recalls another leaked memo, well before email was to blame. 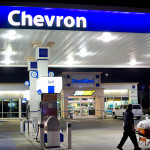 California-based Chevron has won the latest court decision in a case that the Wall Street Journal calls “… one the longest running in corporate history.” The WSJ backgrounds that “… Monday’s decision affirms a lower-court ruling by U.S. District Judge Lewis Kaplan, who found in 2014 that the $9.5 billion environmental-damage judgment won by New York lawyer Steven Donziger and his Ecuadorean plaintiffs against Chevron was obtained through fraud and corruption. 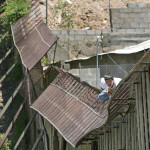 Judge Kaplan ruled Mr. Donziger couldn’t enforce the judgment in the U.S. or profit from the award anywhere in the world. Sara Ramey says that “… in Texas, where my NGO RAICES serves the immigrant community, the average wait for resolution of a case is 712 days. The San Antonio court is setting hundreds, if not thousands, of cases for Nov. 29, 2019 as a place holder until the court can find a date, likely on an even later day. And this is just to start proceedings, not to determine the merits of the case. Courts Monitor Publisher Sara Warner, in a Huffington Post blog, reminds us that internal communication leaks are not always emails. She looks at the famous “B&B script memo” at HuffPo. The idea of “rigged memories” is newly relevant and the 19-year-old memo is even in a new documentary.